Swansea City, a side who have been a joy to watch over the past couple of seasons in the Premier League, are sadly all but certain to be plying their trade in the Championship next season. The Swans who sold some of their biggest players in the Summer transfer window last year, such as Gylfi Sigurdsson the Icelandic playmaker, a fans favourite who made his way to Everton for a whopping £45m pounds. This seemed like excellent business for Swansea at the time. More than just excellent financial business for Swansea, this was excellent news for football fans in general, especially those who like to make a bit of extra cash from their passion by placing bets on the various Premier League matches. World cup betting 2018 may be the big ticket item right now, but with so much attention diverted to the World Cup, League games, with the passionate fans who follow them religiously, are the perfect home for fans to place strategic, smart bets on their favourite teams. Despite Wales not being in the finals, Swansea fans will have some interest in the tournament due to players such as Łukasz Fabiański, Martin Olsson, Kristoffer Nordfeldt and the Ayew brothers Andre and Jordan, now might be a good time for Swansea fans to put their money with their hearts are. Away from the World Cup and matters closer to home, the problem though was that Sigurdsson was never sufficiently replaced. 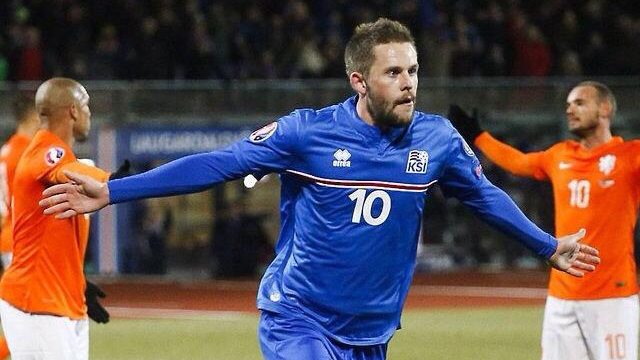 The irony of course is that Sigurdsson will actually be in Russia representing Iceland – but as an Everton player. Other big names to head through the exit door for the Swans were Fernando Llorente who scored so many important goals for the Welsh side in their previous campaign. Jack Cork made his way to Burnley and he was another very vital player in the middle of the pitch for the Swans in previous seasons and Bafetimbi Gomis moved back to Galatasaray for £2.25m. The biggest problem for Swansea was that they did not replace these players in a sufficient way. The players that were signed to replace the above were Portuguese sensation Renato Sanches who shot to fame with Portugal during the Euros in 2016. Either the fame went to his head or he was not built for the physical and pace of the English Premier League because he was a very disappointing loan signing from Bayern Munich. Paul Clement the man who began the season as manager pulled some strings with the club he was once assistant manager at and somehow managed to convinced the young Portuguese playmaker to make the move from the German Giants to the Welsh side for a one season loan. Unfortunately, Sanchez has been plagued by injury as but he also has not come to terms with the pace and power of the English game. He has lost possession on many occasions and both Paul Clement as well as his successor Carvahal lost confidence in the player and he was often benched. Other players brought in during the summer were Tammy Abraham from Chelsea – this youngster was a sensation for Bristol City on the Championship in the previous season scoring 27 goals, but the Premier League seemed a step to high as he did not manage to replace Llorente as the Swans would have hoped for. Other failures in the transfer window were Andre Ayew who has not scored a single goal since making his return from West Ham in the winter transfer window. Wilfried Bony who was signed back from Man City has been a complete disaster since returning and has been injured for majority of the season. Roque Mesa came to England with a reputation for being a talented midfielder who could tackle and find a man with a pass, however the only thing he was able to do since his move to Wales was warm the bench. Overall the reality is that the Swans have not been good enough this season and realistically regardless of whether they lose or draw on the weekend they will already be relegated, due to their vastly inferior goal difference to that of Southampton.